The old “happy hour” is the new “witching hour:” that window of time when your sweet little babe transforms into an inconsolable, red-faced, fussy handful who won’t sleep, doesn’t want to eat, and doesn’t want to be put down. So what’s a parent to do? I’ve found that most of my frustration in life stems from a place of unmet expectations: the witching hour included. What makes the witching hour so challenging is that it’s usually the time when older kids are arriving home from school, your partner may not have come home from work yet, and you’ve planned to cook dinner for the family. Meanwhile, your baby, who has been peaceful all day, has now decided she needs your attention desperately. So step #1 to getting through witching hour: don’t expect to get anything done other than soothing your baby. 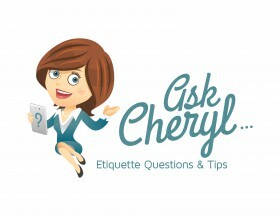 Do as much as you can in the calmer, morning hours, and then put down the to-do list. Prep dinner earlier in the day, or order takeout. Come up with a plan for your older kids so that they’re occupied during witching hour—this is the perfect window for managed “screen time” or other independent play. Expect that you will be completely occupied with your baby, and that nothing else is going to get done. Looking for ideas to help out a new mom in your life? Hop over to one of our past blogs for seven ways you can offer a helping hand! Right after your baby was born, your friends and relatives probably said something like, “Let me know what I can do to help.” Some may have offered to bring dinner or run errands for you—go ahead and graciously accept their generosity! This is prime time for a helping hand, whether that means playing with the older kids, bringing a meal, or folding a load of laundry. Sometimes a fresh face is all you and your baby need to get through these challenging hours! When your baby is fussy, rule out the usual suspects: hunger and a soiled diaper. Seems simple, but when you’re running on little sleep, it can be challenging to remember the last time you fed and changed the baby. 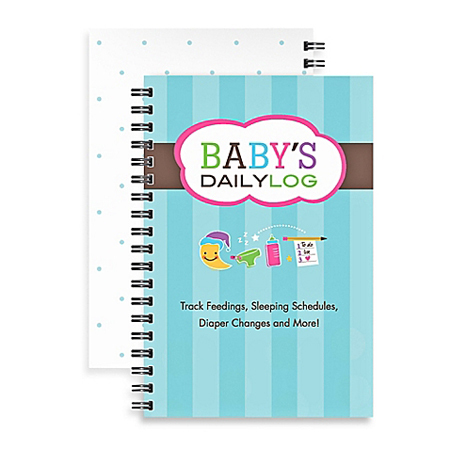 Designed to easily track feedings, sleeping schedules, and diaper changes, Kahootie Co Baby’s Daily Log Notebook captures a 1-page snapshot of your child’s day. 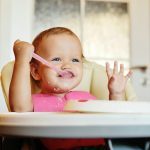 When it’s all written down, you can anticipate when your baby might need to eat or sleep, and keeping records is super helpful when you can’t think straight and your little one is screaming at the top of her lungs! 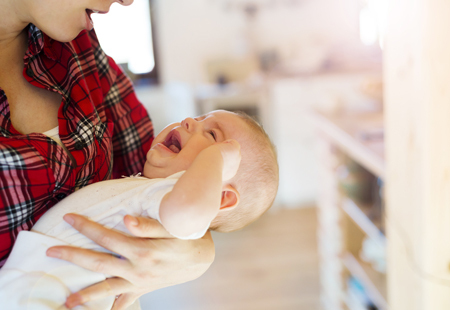 Once you’ve ruled out that your little one is neither hungry nor carrying a full diaper, it’s time to manage those screams. One tactic that often soothes a screamer is being held close. 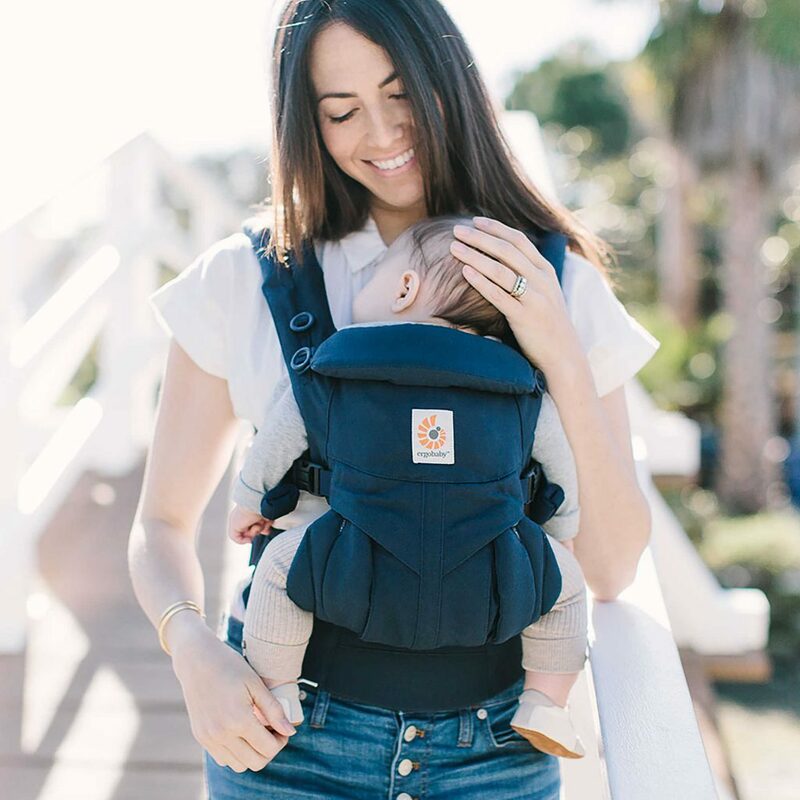 A baby carrier is essential for surviving witching hour, and with so many options out there, you’re sure to find one that meets your needs! Personally, I favor the Baby K’tan for the newborn stage: it’s soft and stretchy, and I found it to be really comfortable thanks to the adjustable band in the back. As baby grows, I’m a fan of the Ergobaby Omni 360 (pictured below). 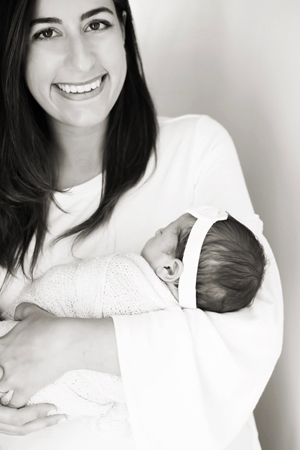 Baby can face inward or outward, and even allows mom to nurse while using it! Once your baby is strapped in the carrier, take a little walk outside. 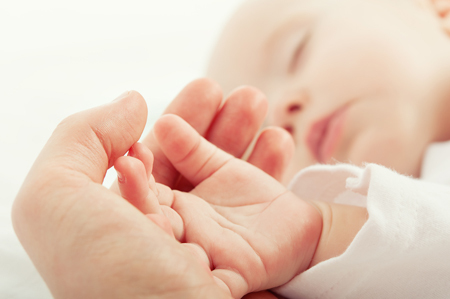 A breath of fresh air and a change of scenery can have a positive effect for both adults and babies! If some time outdoors isn’t working (or it’s the middle of winter), head back home and try some time in a swing. There’s something about a rocking motion that lulls baby to sleep. I never used a swing with my first, but I’ve found it be a lifesaver for baby #2! 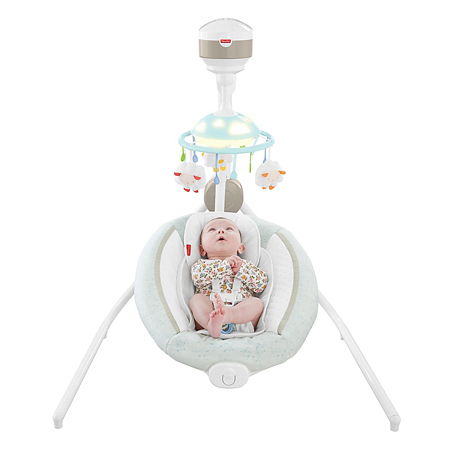 We have the Fisher-Price® Comfy Cloud Cradle ‘n Swing, which has 2 swinging motions and 6 different speeds. It also plays 16 songs (a nice feature for the rest of the family who won’t have to hear the same song over and over), plus nature sounds, too! 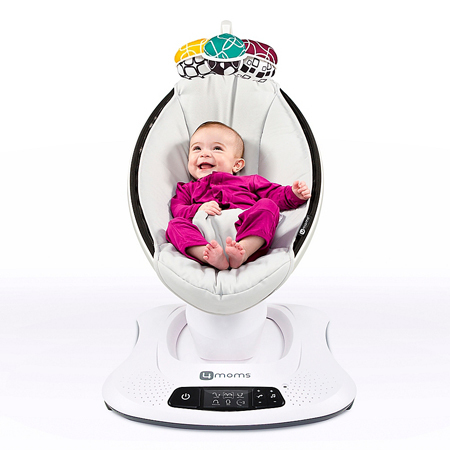 I’ve also heard rave reviews about the 4moms® mamaRoo® 4 Classic Infant Seat, designed to bounce and sway just like we do when we soothe our babies! Not only does it come with built-in music and toys, but it’s also MP3 and Bluetooth compatible, so you can foster an early love for the music you like! Rocking motion not doing it for your little one? It might be time to wrap her up tight and try to put her to sleep. I’m a big fan of swaddling—both of my girls were wiggly, so wrapping them up tightly helped them calm down, drift to sleep, and prevent their “startle reflex” from waking them up. 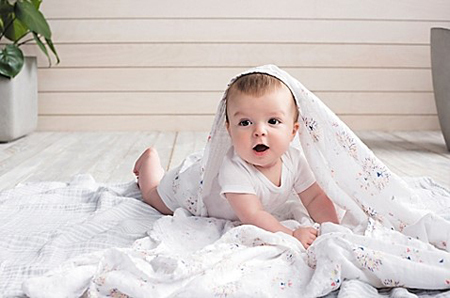 My favorite thing about the Summer Infant Swaddle Me Adjustable Infant Wrap? My girls couldn’t wiggle out of them! 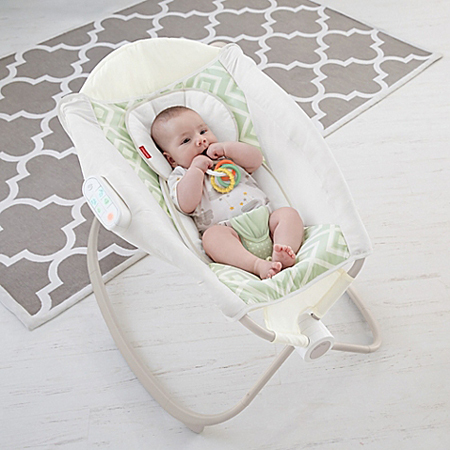 Once your baby is swaddled, you might try putting her in the crib—or try my personal favorite baby item ever, the Fisher-Price® Smart Rock ‘n Play™ Sleeper. I just use mine for daytime naps, as most pediatricians recommend a hard, flat surface for overnight sleep. But when my little one is fussy, this is always the perfect place to get her to fall (and stay) asleep! 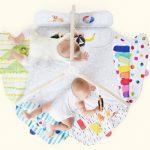 Fisher-Price® has added some bells and whistles to their classic Rock ‘n Play: check out the Smart Connect™ Deluxe Newborn Auto Rock ‘n Play™ Sleeper, featuring calming songs, sounds, vibrations, and 2 auto-rocking modes that can be controlled from most smart devices without disturbing your baby. One last thing: the perfect pacifier! Sucking is soothing for babies— as long as they aren’t hungry, researchers have found that sucking on a pacifier can have a calming effect, lowering their heart rate, stress levels, and blood pressure. Finding the perfect pacifier is so personal—you just have to keep trying until you find one your baby loves. And I think it’s totally worth the investment to buy a few brands upfront so you can experiment when witching hour arrives! My newborn LOVES the MAM Start Tender Newborn 2-Pack Pacifiers above all others—I think it’s because they’re so lightweight, making them perfect for the littlest babes. 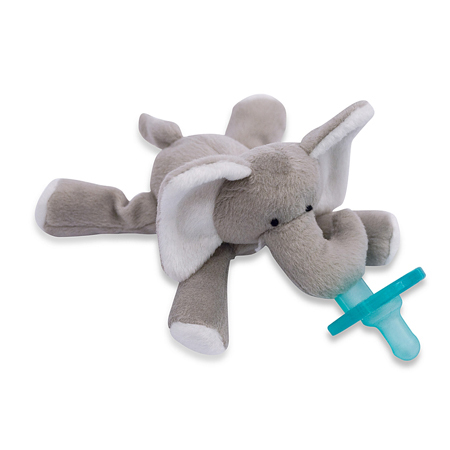 Many of my friends’ babies grew very attached to their WubbaNub™ Infant Pacifier. 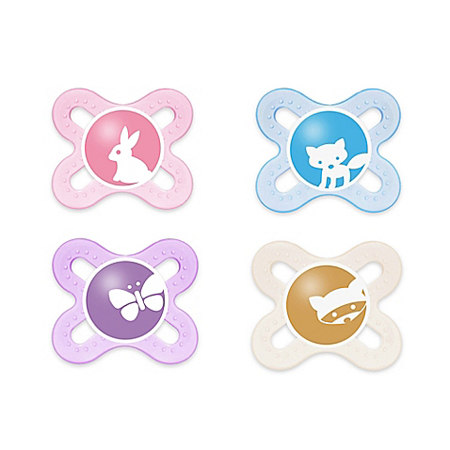 The pacifier resembles the hospital-issued pacifiers, which are the first ones your baby will likely try out in the nursery, and the cute critters attached are great for snuggling! Hang in there, moms and dads! While witching hour may seem never-ending, with preparation and the perfect products, you’ll be a pro at handling these challenging times! And once baby is settled and tucked in, why not hold your own “happy hour” to reward yourself for a job well done? Looking for more baby advice? Stick around—we’ve got lots of resources for new parents! Whether you’re searching for the best new products, nursery décor ideas, or simple baby food recipes, we’ve got you covered! -Written by Christina Peterson, who welcomed baby #2 in January!